In the preceding articles we’ve looked at the combative applications of some of the more common kata motions. 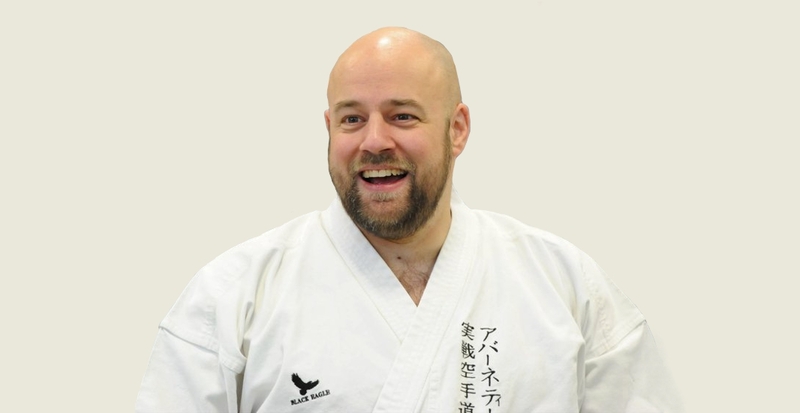 We’ve also explored some of key principles of bunkai which will help you make sense of kata. In Part 6 we will begin looking at some specific applications from the Pinan / Heian series of kata. “Pinan” and “Heian” are simply differing pronunciations of the same word. The Japanese pronounce the characters as “Heian” and the Okinawan’s favour the pronunciation “Pinan”. Idiosyncrasies of style aside, they are generally the same kata regardless of preferred pronunciation. The Pinan / Heian kata are among the first learnt in many styles and are therefore ideal for the purposes of these articles. The Pinan kata were created by karate master Anko Itosu over one-hundred years ago. The kata contain movements from older kata and are effectively a summary of the combative methods being practiced in the Shuri region of Okinawa at the time of their creation. As we briefly mentioned in part one of this series, a key factor in the evolution of karate was its introduction to the Okinawan school system. The version of karate that was taught to the children was solely about developing health, discipline and character. For the first time kata were taught as a form of exercise. Only the external shell of the kata was passed on and the fighting techniques that kata were developed to record were not taught to the children. Later on in his life, Anko Itosu became a school teacher and he was predominately responsible for introducing karate to the school system. The Pinan series were the main kata that Itosu taught to the children, and therefore it is sometimes thought that kata have no combative value and were created specifically as a child’s exercise program. A thorough examination of the available evidence shows that this view is greatly flawed. The first thing is the meaning of the word “Pinan”. In the book Karate-Do Kyohan, Gichin Funakoshi – the founder of Shotokan Karate and a student of Itosu – explains that “Pinan” translates as “peaceful mind” and that Itosu chose that name because once the five kata and their applications are fully understood the karateka can be confident of their ability to defend themselves in most situations. The name of the kata series is therefore said to have been chosen due to the combative nature of their applications. The second thing to consider is that Itosu also taught the Pinan kata to his adult students: a practice that makes little sense if the kata were created solely for children. The Pinans are relatively short and that is probably the only reason why Itosu chose for them to be the ones taught them to the children (all be it in a watered down fashion). 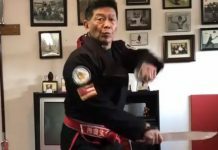 Thirdly, the motions that make up the Pinan kata are generally taken from older kata which were created by various Chinese and Okinawan martial artists at a time where martial arts were overwhelmingly combative in nature. Finally, and perhaps most compellingly, when the techniques of the Pinan / Heian series are analysed it becomes unmistakably clear that the series do indeed represent a well thought through and coherent combative system in their own right; which is completely in line with the name Itosu chose for the kata that he created. This is a series of articles on the basics of bunkai. I therefore don’t wish to go into too much depth on the whole combative methodology recorded in the Pinan / Heian series, or get into why the series is structured and ordered in the way that it is. 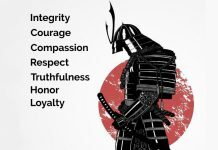 What I do want to do is look at some of the applications of the series, use those applications to reinforce the principles of bunkai we have already covered and to introduce some new ones. The first application we’ll look at is the opening move of Pinan Shodan / Heian Nidan. It should be understood that the first kata of the series (Shodan) was renamed as the second (Nidan) in Shotokan to reflect the revised teaching order in most modern dojo. However, Itosu intended for Pinan Shodan (now Heian Nidan in Shotokan) to be the first taught. Because bunkai is frequently not studied to a sufficient depth, many misconceptions about the functions of kata movements arise. Some of these misconceptions have become widespread and are unfortunately now accepted as the “mainstream” or “official application”. This happens despite the fact that is abundantly clear that the “official application” is extremely ineffective. The motion is frequently explained as a block, where the arm in front of the forehead serves no purpose (Figure 1). The second motion (Figure 2) is said to trap the opponent’s second punch in such a way that a hammer-fist strike is delivered to the back of the opponent’s elbow. This motion is said to be an “arm break”. There are innumerable flaws with this application; so many in fact that it should be obvious that the “mainstream” application was not what Itosu intended. In this series of articles we’ve looked at some of the fundamental concepts of bunkai. You’ll recall that a move to the side means you need to move sideways relative to the opponent; it does not mean the opponent is to your side. You’ll also remember that the vast majority of kata techniques are for use at close range. Kata is also about dealing with civilian altercations, not the formal attacks found in modern karate dojos. You’ll also remember how we discussed that kata does not contain what are commonly considered as “blocks”. We’ve also established that every part of the kata movement should serve a purpose. The “official application” fails on all these counts (and quite a few others). A much better way to view this kata motion is as a shoulder-lock. You have secured a grip on the opponent’s wrist, turned sideways and fed your other arm to the outside of the opponent’s arm. This is the function of the first movement (Figure 3). The grip on the wrist is then released and the opponent’s arm pushed down and away. At the same time the opponent’s elbow is pulled in towards you. 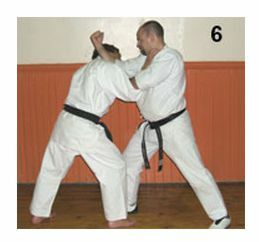 Your arm motion is exactly the same as the kata’s second motion (Figure 4). This will lock the opponent’s shoulder and from there they can easily be taken to the floor (Figure 5). The application we just discussed is completely in line with the concepts of bunkai we’ve covered so far in this series. What is interesting though is that both the flawed “official application” and the more pragmatic one we’ve just examined are both considered as attacks to the arms. When the applications of kata stopped being widely taught (following the introduction to schools, and later the prevailing Japanese fashion of modifying martial arts to be sports and systems of physical exercises / character development), I wonder if a student asked what the first move was for and received the brief answer “it attacks joints of the arm”. Because the principles of bunkai were not widely taught, and many of the “new wave” of karateka had no combative experience or understanding, it is possible that the function of the movement was misunderstood in the way that has now become so widespread. My study of bunkai has found numerous examples where the pragmatic application and “official application” share a common theme (in this case they are both said to “attack the joints of the arm”). 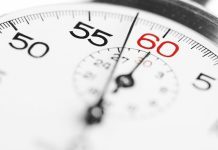 For those of us who enjoy researching kata, the ineffective mainstream applications shouldn’t always be completely dismissed as they can occasionally point us in the right direction of the true applications. Striking is the core of karate. However, as we’ve seen throughout this series, bunkai training opens up other subsections of traditional karate study. The technique we’ve just looked at is one of the core joint-locking movements of karate. In addition to the techniques of the kata, the older karate texts also reveal the fundamental locking, strangling and throwing methods that are now missing from much of modern practice. When studying bunkai, it must always be remembered that the kata are not solely about striking. Another application from Pinan Shodan / Heian Nidan that I’d like to examine is the “double block” towards the end of the form. The opponent reaches forwards and grabs your neck in order to keep you off balance and set up a datum for their punch. Quickly slam your forearm down onto the opponent’s arm. This will disrupt their posture. The arm motion will also ensure there are no obstructions to your forearm strike to the opponent’s neck (Figure 6). One of the combative concepts demonstrated by this piece of bunkai is that the hands should work together with one hand creating opportunities for the other. The hands are never held in a passive guard or a “ready position” in kata. Guards are for sparring and distance fighting. At close-range it is better if the hands are put to an active use. The hands working together in this way is an important key to understanding kata. A hand is never idle or merely guarding. An inactive hand (one that is not disadvantaging or injuring the opponent is some way) is called a “shi-te” (pronounced “she-tae”) which translates as “dead hand”. When studying bunkai you need to ensure that “dead hands” are avoided and the concept of using both hands is consistently applied. This is another fundamental concept that needs to be understood if you are to make sense of kata. If you look back across all the bunkai examples that we’ve examined in this series you’ll see this important principle at work. 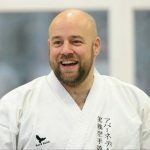 In this article, we’ve introduced some additional information relating to the Pinan / Heian kata, which are generally the first kata studied and where true bunkai training begins. We examined the occasional relationship between the widespread flawed applications and the more effective bunkai we’ve been studying in this series. Part 6 has also seen us reemphasize the idea that karate has many areas of study in addition to the core striking skills, and that the kata is a record of these areas. We’ve also emphasised the importance of using both hands together and avoiding any “dead hands” when applying kata. The Basics of Bunkai – Part 7 sees the penultimate article in the Basic Bunkai series. We will examine some of the transitions found within the Pinan / Heian series and introduce a few more fundamental bunkai concepts that will help you make sense of kata.